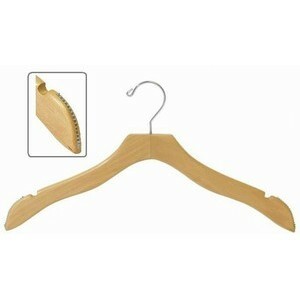 Our wavy top hangers have built-in non slip shoulder grips, along with notches for hanging straps. 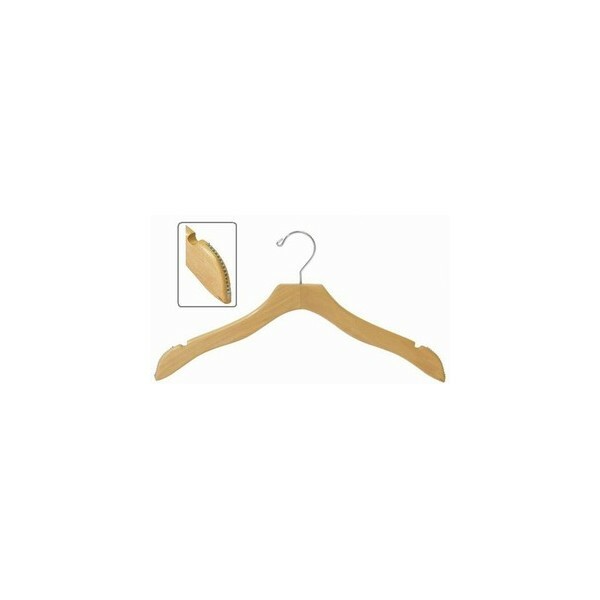 The chrome swivel hooks make our natural wood top hangers incredibly durable. Sold in lots of 25, 50 and 100.